“Situated in the heart of the semi-rural seaside village of Llanddulas, Stands the oldest public house in the village, built in the 18th century on the site of an old clay cottage. Community owned pub with friendly staff, dogs welcome. 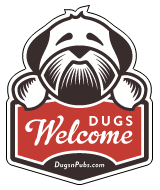 There are a total of 17 dog friendly listings in the North Wales Pubs category. Please log in, or sign up as a member to view all listings.